My name is Katie, a sometimes blogger and pinterest junkie who actually went to high school with Amanda way back in the day. I am so happy to be helping her out with this post as she gets ready for the big day … So it’s almost the middle of November when did that happen? In my mind it feels like it should still be July but the weather and the calendar tell me differently. Summer goes by so fast but sometimes it feels as if winter can drag on forever in New England. I have found it’s important to try to make the most of it and fill the long dark nights and cold days with food, friends, cozy clothes, and did I mention food? Below is a list of things I like to enjoy while counting down the days until spring rolls back around. Enjoy! 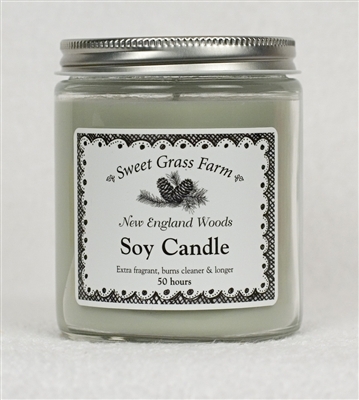 Candles --- Sweet Grass Farm Soy Candle in “New England Woods” . Once the weather turns colder I start burning this puppy … it smells like freshly cut pine and since its soy it’s clean burning and easy to reuse the jar after its done. Fondue anyone --- When cold weather rolls around I believe cheese is essential to keeping both warm and happy. Now is the time to break out the fondue pot, invite some friends over, and cook up some creamy goodness. I few years ago I had this fondue at Artisanal in NYC and I have been dreaming about it ever since. It is on my list of things to cook this winter or maybe this week or maybe tomorrow my mouth is watering just reading the recipe! Cozy Cowls --- Whoever invented these cozy rings of warmth you are my hero. I could wear these every day in the winter and with so many cool styles out there I think it’s quite possible. 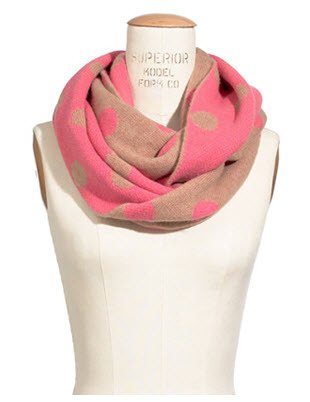 I scored one at TJ Maxx the other week and I think this polka dot gem from Madewell might be my next purchase . Cocktails --- Lucky for me I am married to someone who takes cocktails very seriously so really this is a yearlong activity but just humor me. In the colder months our libations consist of rich bourbon drinks such as manhattans and red hooks but one of my favorite winter drinks is a Brandy Alexander. This creamy nutmeg tinged drink goes down smooth (sometimes a little too smooth), it also happens to be a really good Feist song about a bad boyfriend but that is a whole other post. DIY and Rearranging --- During the summer I feel like I am wasting a good day by being indoors so my house suffers. In the winter that changes I spend most of my days inside hiding from the elements when possible. To stave off cabin fever I need to have some sort of project going on. It can be as simple as rearranging and organizing a book shelf to repainting a room. This winter I have two major projects, (as well as a million little to-dos), redo our study and attempt to starch fabric over our majorly outdated kitchen cabinets, if *Amanda asks me back I will try to share the progress with all of you! Those are just a few things that help get me through these long months, what about you guys? Love this post, and thank you for the great winter tips!